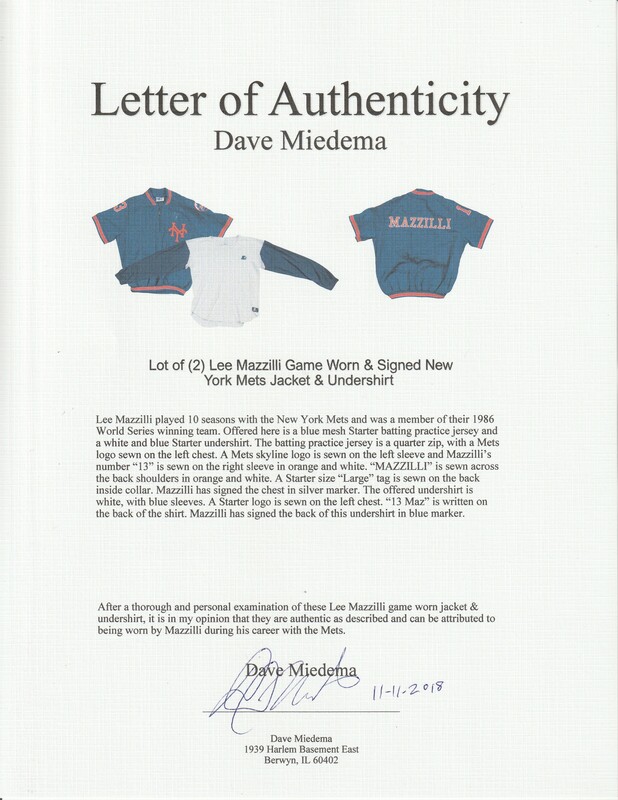 Lee Mazzilli played 10 seasons with the New York Mets and was a member of their 1986 World Series winning team. 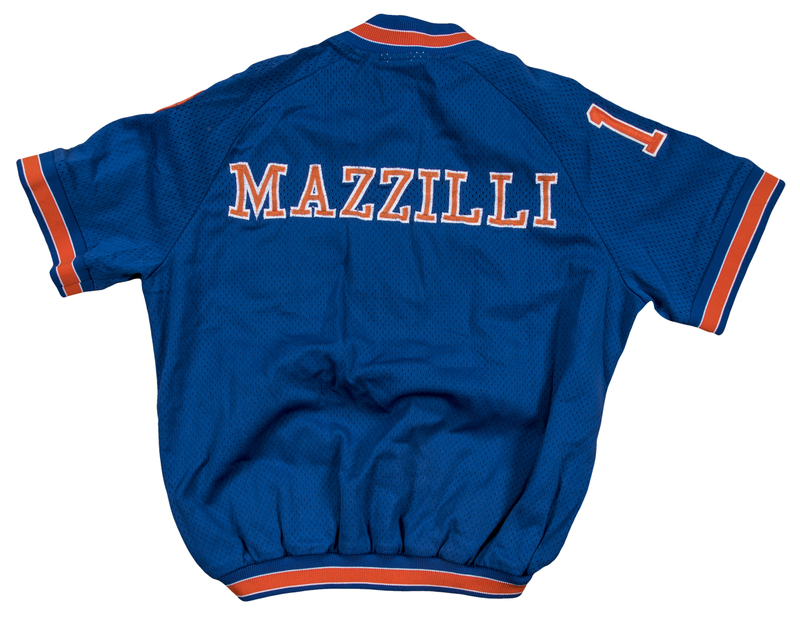 Mazzilli was a member of the 1979 National League All-Star team with the Mets, in a season where the centerfielder put up a Triple Crown slash of .303/15/79 with 34 stolen bases and 34 doubles. 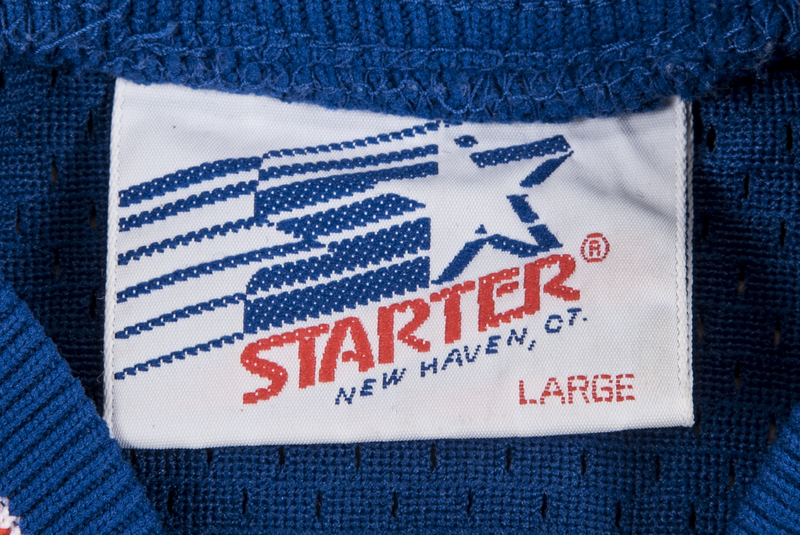 Offered here is a blue mesh Starter batting practice jersey and a white and blue Starter undershirt. 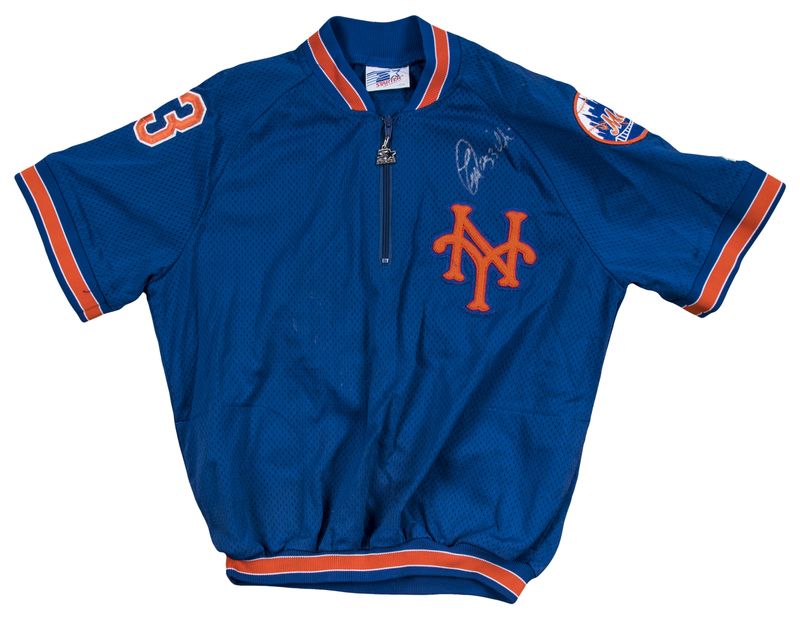 The batting practice jersey is a quarter zip, with a Mets logo sewn on the left chest. 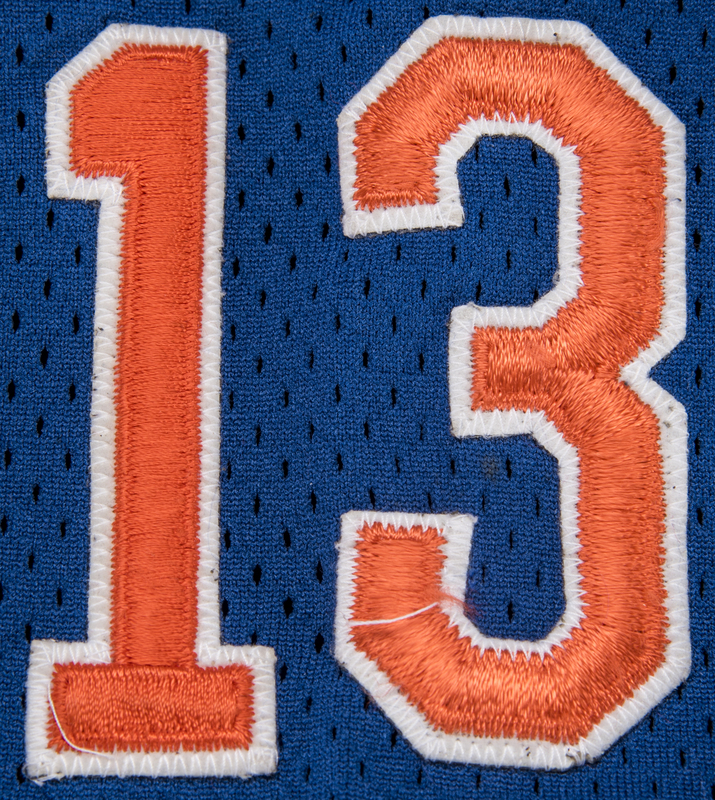 A Mets skyline logo is sewn on the left sleeve and Mazzilli’s number “13” is sewn on the right sleeve in orange and white. 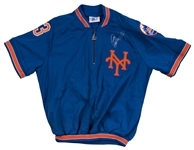 “MAZZILLI” is sewn across the back shoulders in orange and white. 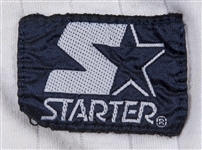 A Starter size “Large” tag is sewn on the back inside collar. 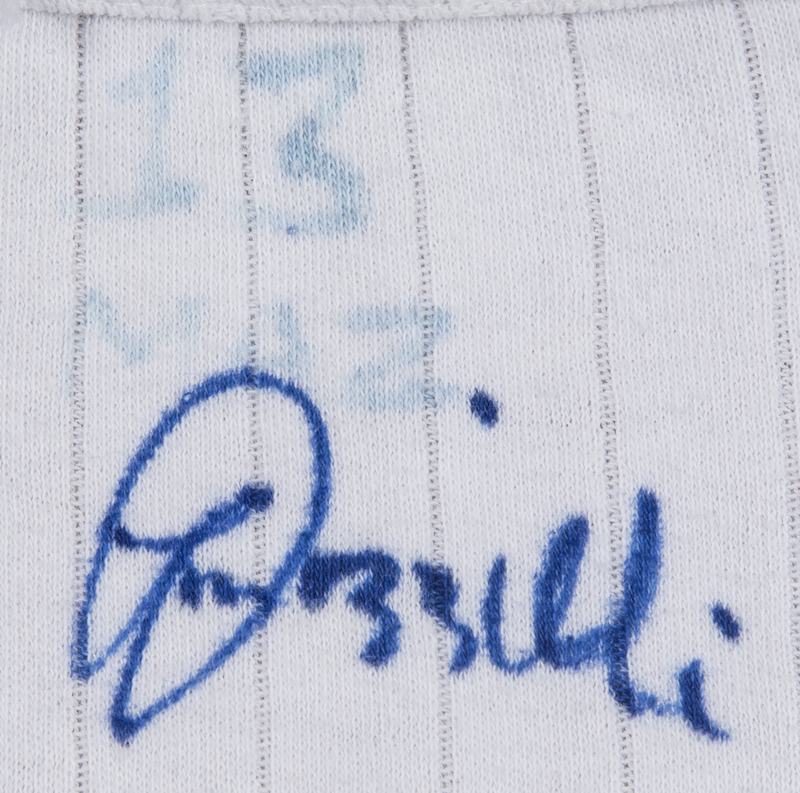 Mazzilli has signed the chest in silver marker. The offered undershirt is white, with blue sleeves. A Starter logo is sewn on the left chest. 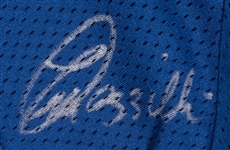 “13 Maz” is written on the back of the shirt. Mazzilli has signed the back of this undershirt in blue marker. Each item in this lot comes with a COA from JSA (AA82273, AA82274). 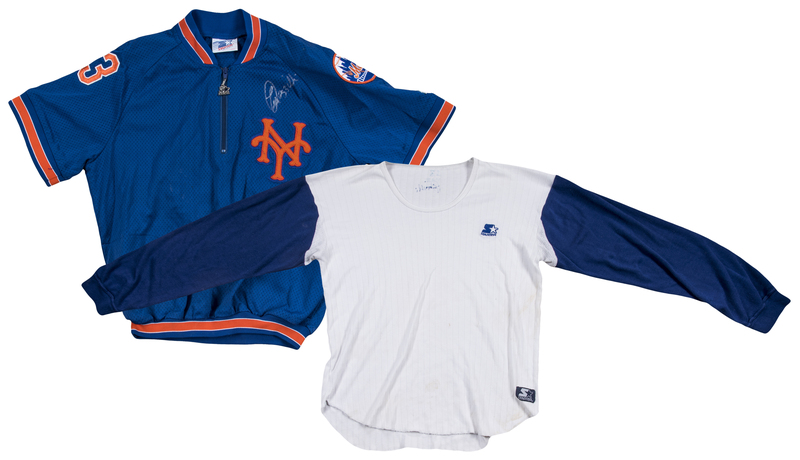 This lot comes with a LOA from game used expert Dave Miedema.